Kincheloe Motors, Inc. of Parkersburg, WV has clean and reliable used cars trucks, and SUVs for every budget. At Kincheloe Motors, we carry some of the finest pre-owned cars, trucks, vans and SUVs available in the Parkersburg, WV area. We are committed to providing you with a "no-pressure" buying experience. We sell all makes and models.....Ford, Chevrolet, Land Rover, Volvo, Chrysler, Dodge, Jeep, GMC.....we either have it or have the ability to get it for you. Each vehicle we sell comes with warranty coverage, is professionally detailed to look like new and has been fully inspected and serviced in our award winning Service Department. You always get both sets of keys, floormats and owners manuals....some of the small details that mean a lot and oftentimes slip through the cracks at other dealerships. by the Parkersburg News & Sentinel readers. 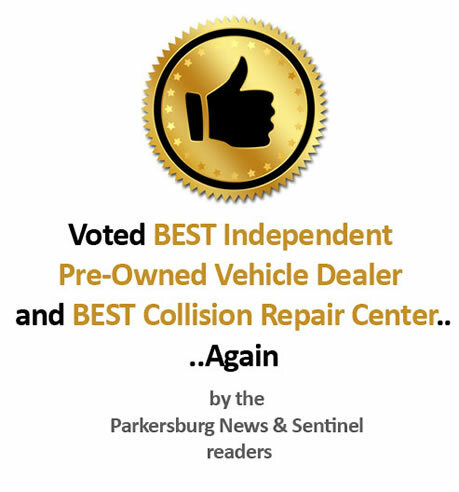 Our dealership is third generation owned and operated in Parkersburg, WV. Sales, Service, Parts and Collision Repair departments. We invite you to experience the Kincheloe difference.